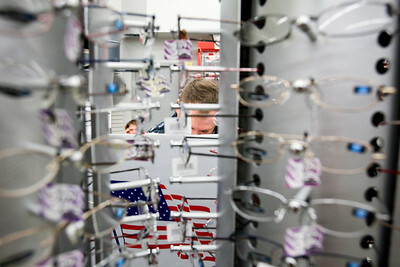 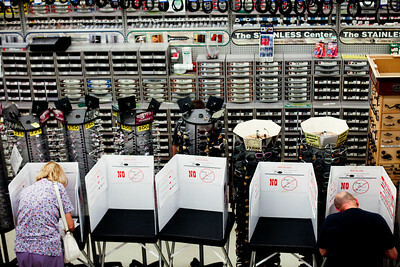 Jenny Kane - jkane@shawmedia.com Tues. March 20, 2012, Navy Hospital Corpsman Second Class Shaun M. Geyer of McHenry votes at Bjorkman's Ace Hardware in McHenry. 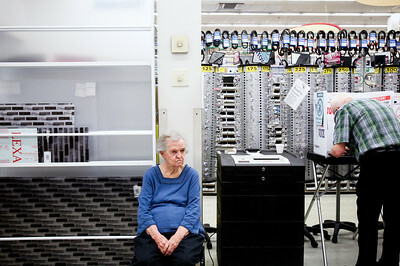 Jenny Kane - jkane@shawmedia.com Tues. March 20, 2012, Mary-Ann Davis waits for her daughter Char Roach to finish voting at Bjorkman's Ace Hardware in McHenry, while Owen Dodt works at one of the voting booths. 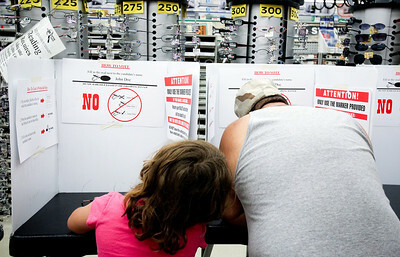 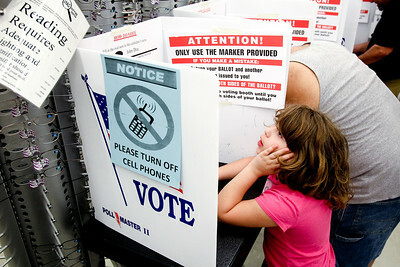 Jenny Kane - jkane@shawmedia.com Tues. March 20, 2012, Kimberly Velez, 7, of McHenry reads the rules and regulations of the voting booth while her father Mickey Velez votes at Bjorkman's Ace Hardware in McHenry. 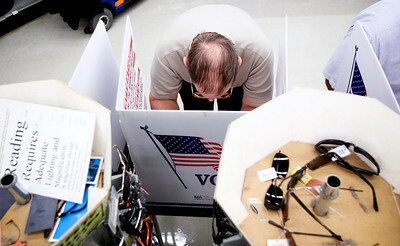 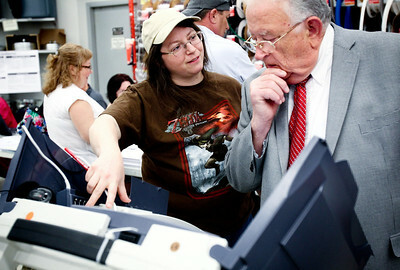 Jenny Kane - jkane@shawmedia.com Tues. March 20, 2012, Election Judge Rana Sundell-Adams shows Assistant Pastor Charles E. Miller, of Shepherd of the Hills Lutheran Church, how to vote on the AccuVote-TSX electronic voting machine at Bjorkman's Ace Hardware in McHenry.